Is your website mobile friendly? If you answered “yes,” you have nothing to fear. If you answered “no,” however, or you aren’t even sure what the question means, you could be in big trouble with Google. Starting today, Google is rolling out an update to their search algorithm that could heavily penalize websites without a mobile-friendly design. This move is only the latest in a string of decisions from Google that demonstrate how important mobile search is. More people are spending more time on their mobile devices – according to a 2014 report by comScore, phones and tablets account for 60% of digital media consumption, while desktop computers (including laptops) only account for 40%. With mobile becoming a larger and larger piece of the market, it was only a matter of time before Google devoted more resources to it. Over the last year, Google has positioned mobile search as a larger piece of the online ecosphere. Now they are making it explicitly clear to website owners: Make your sites mobile friendly, or watch them disappear from search results. How does Google determine how your site should rank in mobile search? Before a few months ago, Google’s mobile search rankings more or less mirrored desktop searches. If your site ranked well for searches on a computer, it would rank well for searches on a phone, too. That all began to change in early 2015. Several search engine blogs and journalists reported seeing ranking changes on mobile devices while desktop rankings remained steady, a clear sign that Google was making changes to the way it displayed website rankings for mobile phone searches. The final steps of Google’s plan are now falling into place. 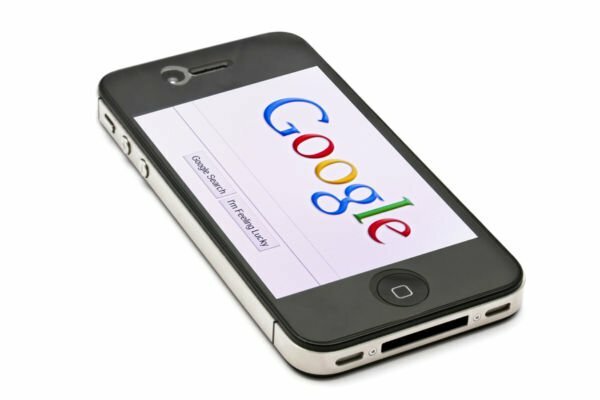 Today, April 21, marks the first day of Google’s new mobile ranking algorithm rollout. This algorithm is designed to feature mobile-friendly sites in mobile search results and to filter out sites that aren’t designed for a phone’s small screen. It might be a while until you notice the impact of the algorithm on your site – previous algorithm changes tooks days or weeks to take full effect. However, you can be assured that sooner or later, the algorithm will hit your site if it isn’t mobile friendly. So what can you do if you don’t know if your website is mobile friendly or not? The first step is figuring out if you need to do anything at all. For most website owners it’s easy to tell if your site is mobile friendly, especially if you use Google Webmaster Tools or Analytics. One simple method is to check the traffic coming to your site on mobile devices now compared to the traffic from a few months ago. If your current traffic figures are significantly lower than your old ones and you haven’t changed anything, the new mobile algorithm could be at fault. Another technique is to search for your site using Google on a smartphone. If your website is deemed mobile friendly by Google, it will have a small tag next to the page description that reads “Mobile-Friendly.” If your website’s listing doesn’t show that tag anywhere, then Google doesn’t see your site as mobile-friendly and could start removing it or lowering its rankings in mobile search results. Finally, you can use this Google tool to see how Google’s search engine spiders view your site. All you have to do is type your site’s URL into the search bar and click “Analyze.” Once the results come back, they will tell you explicitly whether Google sees your site as mobile friendly or not, as well as any issues that could be keeping your site from being mobile friendly. What can you do from here? We’ve written before about the importance of mobile search and how to make your website more mobile friendly, so check out our last post on the subject if you want an in-depth guide. In general, though, you’ll need to choose between setting up a dedicated mobile site or making your current site responsive to mobile devices. Making Your Website Responsive – If your site is built in WordPress, Joomla!, or another common content management system (CMS), there are easy options you can use to make it responsive. With a responsive design, the site’s appearance will change depending on the size or type of device accessing it. Responsive design is the easiest way to make your site mobile friendly in most cases. Setting Up a Dedicated Mobile Site – Some businesses may choose to set up a dedicated mobile site that hosts separate content for mobile users. This can be a good option because you get to control the mobile user experience, but it’s also more complicated and takes a lot more work. For both of these options, it’s important that you provide as much of the desktop experience as possible on mobile devices. That means you can’t cut out or redirect mobile users from features that desktop users can access. Here’s an example: some sites choose to use an iOS or Android app instead of a mobile site. However, these apps don’t count in determining a website’s rankings on Google. If you redirect mobile users to your app but don’t create a mobile site, you could still lose rankings even if your app is good. Consistent contact information across online profiles like Facebook, Google Local, and Yellow Pages. If you have questions or need more information about mobile search and why it matters for your website, contact us today at RankMonsters. We’re Oklahoma City’s most dedicated SEO company, and we can help you get your site mobile-ready and search engine-friendly. You can also visit our Facebook and Google+ pages for more information and helpful tips.